The stunning Melenos Lindos Exclusive Suites hotel located close to the Lindos Beach, offers modern amenities in a traditional décor. 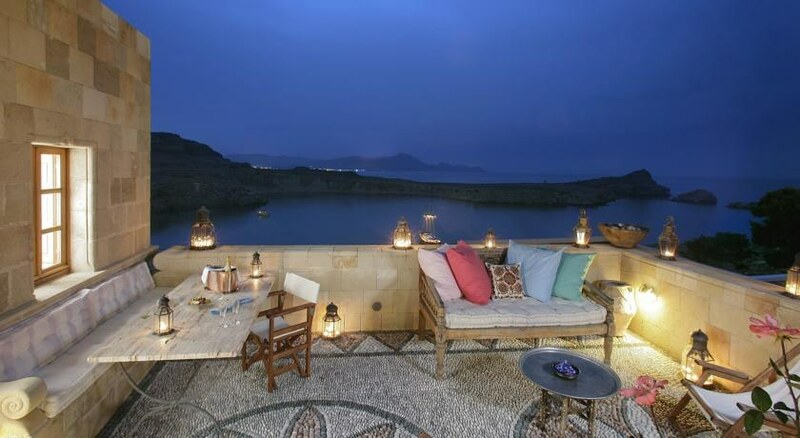 This sophisticated hotel is close to the Lindos Acropolis and also close to the Ancient Theatre of Lindos. 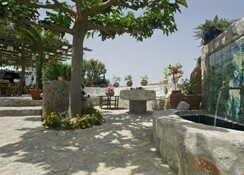 The hotel enjoys a great location on the northern side of the ancient city of Acropolis just below the temple of Athena. The prime attraction of the property is that each room contains a unique selection of ceramics, fabrics and some special items from the personal collection of the owner. The hotel has lots to offer in terms of décor, amenities, free Wi-Fi and food. 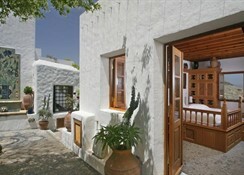 Melenos Lindos Exclusive Suites is just a 3-minute walk from the famous Lindos beach. It is at a 5-minute distance from the Lindos Acropolis and 11-minute walkable distance from the Ancient Theatre of Lindos. The fabulous Tsambika Beach is located 16km from the property while Seven Springs are 19km away. The Rhodes international airport is about 53km from the property. Lindos is a lovely town on the Greek island of Rhodes. Known for its clifftop acropolis, home to relics from 280 BC. Here, there is a Temple of Athena Lindia standing over ruins of another temple. There is an old Virgin Mary Church featuring 15th century frescoes. 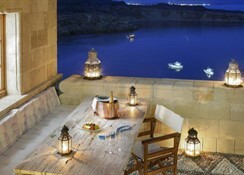 Guests at the Melenos Lindos Exclusive Suites can choose from 12 elegant and ornately decorated suites featuring hand-carved cedar furnishings, hand-painted ceilings and cedar furnishings. There is free Wi-Fi in the rooms along with satellite TV, DVD/CD players and mini bars. Some upgraded suites add terraces and stunning sea views. 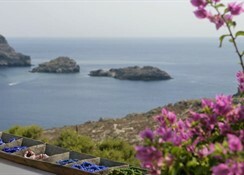 At the Melenos Lindos Exclusive Suites breakfast is offered on a complimentary basis. Two upscale restaurants including a delightful rooftop one serve delectable cuisines including Greek traditional flavours with Mediterranean flavours and authentic Lindian recipes. The property offers beach access, garden with a cosy pergola and seating areas. Guests are served welcome drinks, a fruit basket and a bottle of wine upon arrival. Special diet meals can be ordered on request. Guests can order in breakfast in the room. There is not much on the sports front here but the hotel offers 5-star amenities. The guests can enjoy some wonderful and invigorating spa and massage treatments for relaxation and rejuvenation. There is free parking for the guests here.